Ever since we were in school, we’d been taught that creatures from the ape family are herbivores who were largely fruit eaters. What if, however, someone was to tell you that Chimpanzees are, in reality, meat eaters as well? I’m sure I’ve gotten a few gasps on this one! 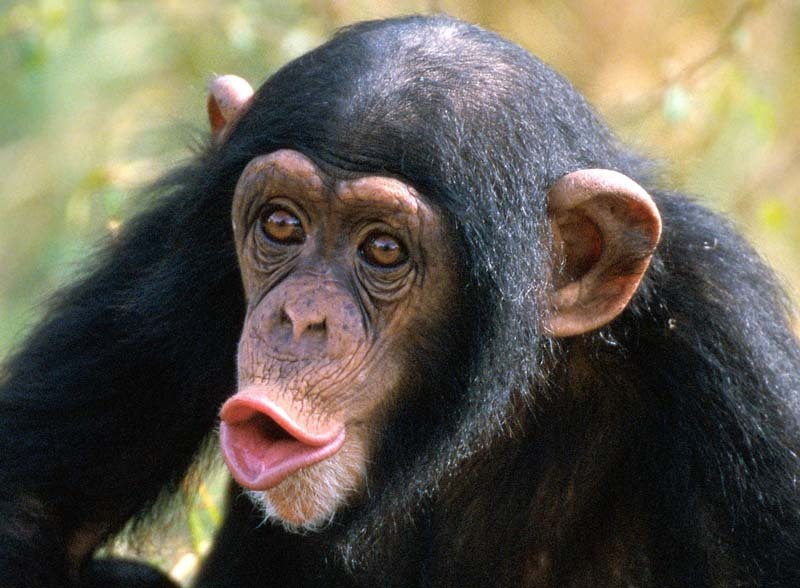 As for those of you, who already knew that a little bit of meat is normal for chimps; I’ve got news for you as well. It’s time to rephrase the ‘little’ in the dietary pattern of chimps. As a study done by Jane Goodall suggests, chimpanzees are predators, who hunt for their meals. This observation has shaken up quite a few souls, just like mine! On a tangent, it makes me wonder about all the other things I did learn while in school! How many of them are going to be negated with time? 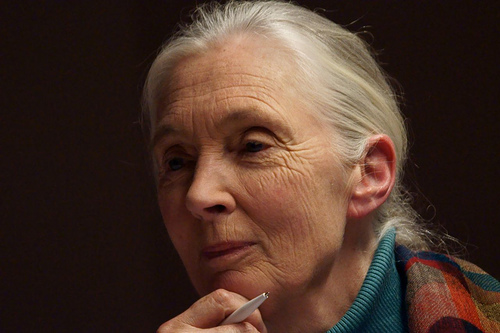 Jane Goodall, the British ethologist and anthropologist was the first one to suggest that chimps have more to them than meets the human eye. 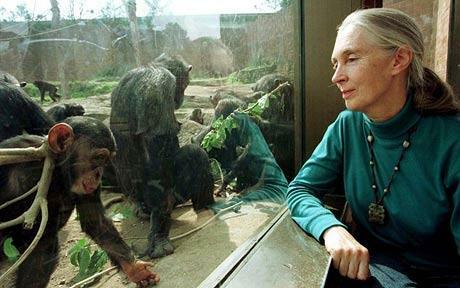 Around 40 years ago, she suggested that meat is an integral part of the chimpanzees’ diet. At that point in time, the lack of supportive studies earned Goodall the tag of being aberrant in behavior. Other researchers agreed with her observation; but quickly added that the amounts of meat intake was trivial. There were studies conducted in the recent past that have contributed to the understanding of certain aspects of chimp behavior that could be a key link in understanding the origins of human behavior. These studies have shown that meat occurred frequently in the dietary pattern of the chimps and was used as a political and reproductive tool. These newer findings have shed light on a never-before-known situation. On the other hand, there were ongoing studies by anthropologists that were trying to prove that the early man was a scavenger and not a hunter. By understanding the ecology of wild chimpanzees and their meat consumption patterns, some new debates might get sparked off. The studies done on chimps then, will be considerable proof for the fact that men are carnivorous because their ancestors were so! When Dr. Goodall began her studies in the Gombe National Park, Tanzania; little did she know that it would get so much attention even years later. She documented sightings of chimpanzees eating meat. Today, however, hunting practices carried by chimpanzees are well documented, even in video formats. Similar practices have been seen even among the chimps in Africa. The studies done at Gombe have shown that atleast 150 small and medium sized animals get hunted for each year by these relatively larger apes. Their prey would generally include monkeys, wild pigs and in rare cases, antelopes. As Goodall put it, the chimp society is like fission-fusion; there isn’t any specific group structure (except the mothers and infants who stay together). Temporary groupings are a common sight, with parties coming together as and when needed. The size of these parties would generally depend on the availability of food supply. The hunting abilities of the apes present would help in determining how many of them were needed around. They ALWAYS hunt in groups, with each hunting ape having a role of his or her own. Seasonality of hunting was another issue that cropped up during the more recent studies. At Gombe, it was recorded that 40% of the kills of colobus monkeys occurred in the dry season months of August and September. In his study of the chimpanzee community of Gombe; Geza Teleki concluded that a male chimpanzee hunts to show his prowess to other members of the group. So, it is, as he puts it, ‘a form of social display’. Whatever the reasoning behind this behavior, one fact is for sure. The chimpanzee as we knew it, is not a herbivore anymore. Meat does constitute for a considerable amount of nutrition in the meal of this large ape cousin. 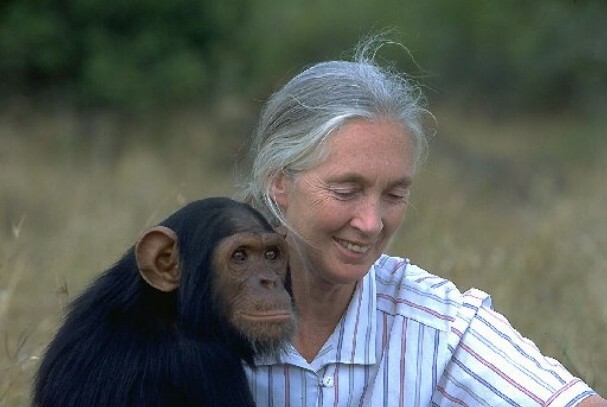 Dr. Goodall is a great figure and a role model for many who think of protecting the animals especially chimps..! 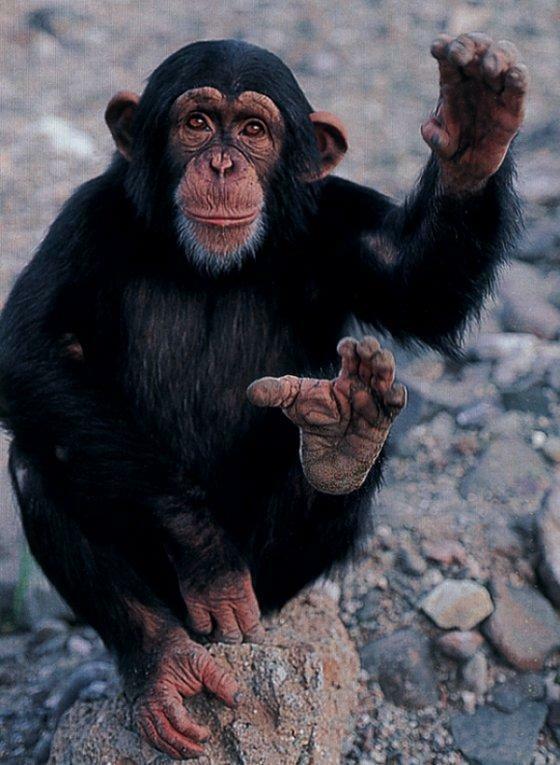 !Thank you for bringing the recent researches on chimps into picture…!